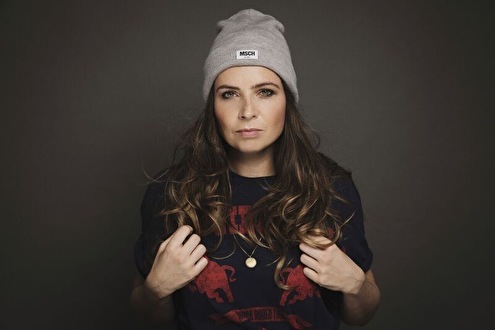 Danielle van Hees, also known as Daani, has been a part of the freestyle community for years.In 2007 she started spinning oldschool house records on vinyl, and from that moment on it became clear music is her ultimate passion. She possesses an incredible musical-vocabular and she has the ability to mix any genre fluently because of her versatility. Her heart lies with the harder styles but she certainly isn't afraid to mix that up with some other BPM if it feels right. In that sense she overrides all boundaries. Her most dominant source of power becomes crystal clear the moment she enters the stage. Transforming into a motivated but most of all passionate woman, that lives and breathes her music. This translates into a whole new world of entertainment. She completely wraps the crowd around her finger like no-one else and consistently delivers a fantastic show.With divergent bookings like PussyLounge, De Zwarte Cross and DefQon.1, but also for instance the TT of Assen, she has really made a name in the Freestyle scene. Get your socks knocked off by Daani! !